Climate change might be a hot-button political issue, but the vast majority of climate experts (scientists) agree: Manmade global warming will have dire, even deadly, consequences for our planet over the next century. From worsening hurricanes and other extreme weather to fatal heatwaves and droughts to massive extinctions in the animal world, a recent United Nations report brings the issue into stark relief — our time to act meaningfully is limited. What can you, a humble small-business owner, do in the face of this global-scale crisis? Well, the answer might surprise you. Much of the global climate change we’ve seen over the past few decades is linked to a shockingly small number of companies, meaning that business often is part of the problem. But that also means business can be part of the solution. A small, local business might not be able to influence the majority of the world’s economy to act. But change starts at home, and given their importance in the U.S. and global economies, small businesses just may be able to act where politicians seem unable to. 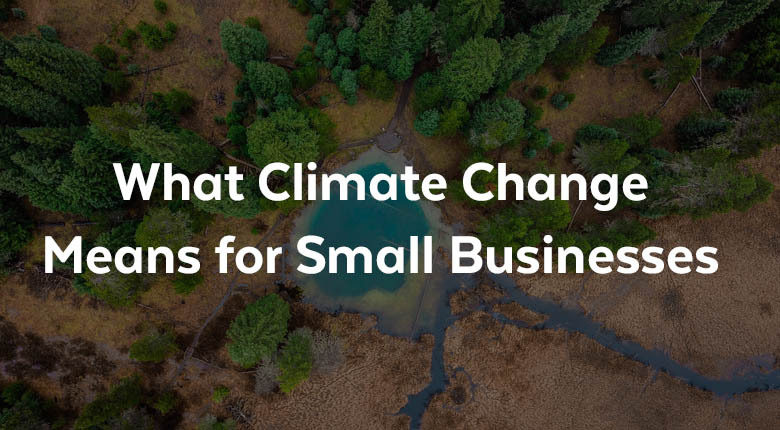 In this infographic, we’ll explore the state of the climate around the world (again, it’s bad), how global warming impacts businesses and how even the smallest business can make a difference.